You’ve seen his movies and heard his songs, but have you seen Elvis LIVE? Then you definitely need to check out All Shook Up! It’s a tribute to "The King" himself! All Shook Up is the only Elvis show on the Strip where you can hear all Elvis, all night backed by a live band. Sing and dance to your favorite hits at V Theater inside Miracle Mile Shops - Planet Hollywood Resort & Casino. 6pm Daily. 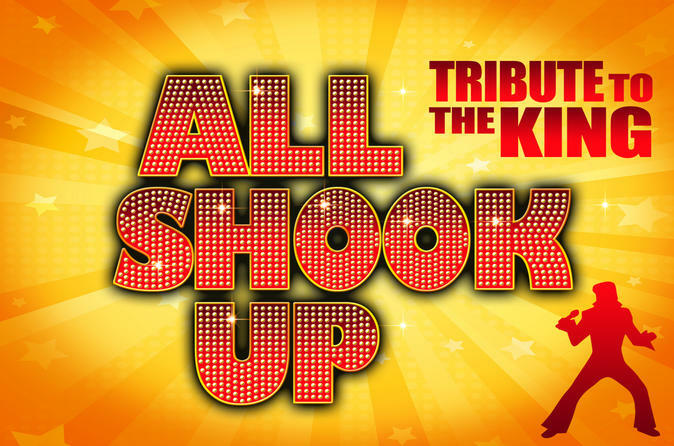 Get your grooving shoes on for All Shook Up - Tribute to the King, an unparalleled inspirational show featuring all of your favorite Elvis songs. Sing along with the best-selling solo artist in the history of recorded music while the audience comes alive reminiscing about his moves, his tunes and his quirky grace. Dance to your favorite songs, like “Heartbreak Hotel” and “Suspicious Minds,” favorites from the man who made music what it is today. This tribute to Elvis Presley is the only All-Elvis show on the Las Vegas Strip and includes a live band on stage, making it the next best thing to seeing The King himself perform. Special Offer - Book and save 40% compared to the local operator's price! - Book Now!